Scene from the 1939 film, The Wizard of Oz, which was based upon a book written by Frank Baum in 1900 called The Wonderful Wizard of Oz. 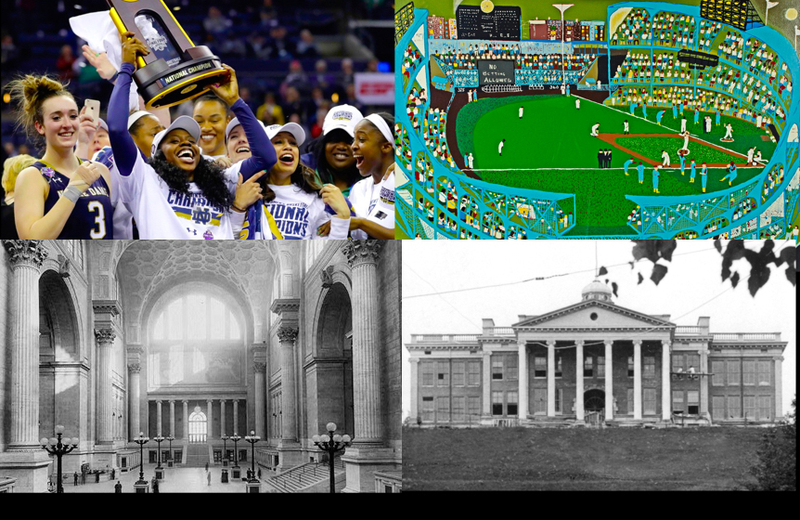 Above photographs, clockwise, starting at upper left: Notre Dame's basketball team celebrating NCAA Women's Championship Title; baseball diamond in an artist's illustration; East Hall under construction in 1905; Pennsylvania Station hall for awaiting trains, photographed in 1911. Photographs of the demolition of (most of) East Campus in 2013. 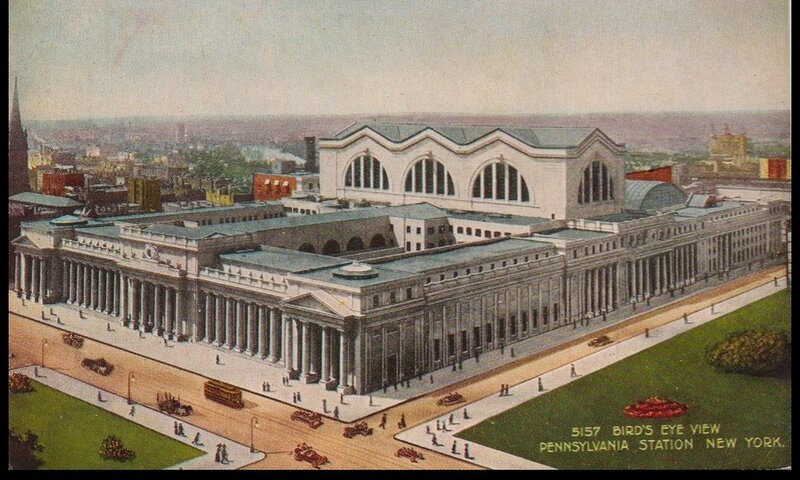 Picture postcard of Pennsylvania Station, New York in about 1920. 1. Take a look again at the definition of culture, as printed in the Handbook. We talked about the culture of basketball, baseball and culture. Which of these sports based cultures do you most relate to? Explain in some specifics, why? 2. At the heart of the class was the history of Western Michigan University, and the city of Kalamazoo. What most impressed you most about this history? What surprised you? What more would you like to know about the early history of the university and the city? What personal experience do you have exploring Kalamazoo to date? 3. What can you tell us about the ways that American culture is indebted to the achievements of earlier societies? 4. How do you feel about the decision by Western Michigan University to demolish almost all of East Campus? Are you familiar with other historic campuses, such as the University of Michigan? 5. If you are an education major, please discuss WMU’s history as a teacher’s college. What issues in education today are most on your mind? What do you want to achieve in this field? 6. In class you saw photographs and/or heard about the destruction of the following iconic buildings (in addition to those on WMU’s East Campus): an early synagogue in Kalamazoo (you can see it online on the cover of the book “Kalamazoo Lost and Found”); Pennsylvania Station in New York City; the first public library in Kalamazoo; as well as three or four vaudeville theaters (similar to the still standing State Theater). Please discuss how you feel about the loss of one or more of these buildings? 7. Home: this was a major topic in class Monday. We discussed it as it relates to baseball, with the help of George Carlin’s comic one-man performance about baseball and football. 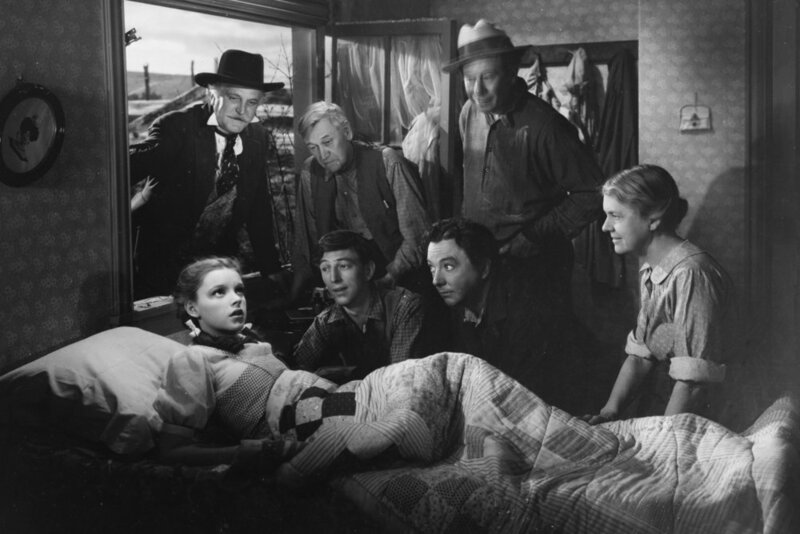 We then looked at and discussed the Wizard of Oz, and how home is the key issue in that film. What do you have to say about the concept of Home? This post opened Monday night at 8:30 pm. It will remain open until Saturday at 10 pm.